Google CEO Sundar Pichai speaks during Google I/O 2016 at the Shoreline Amphitheatre on May 19, 2016 in Mountain View, California. 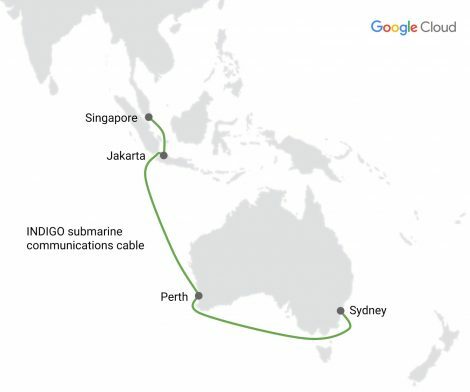 Google has invested in yet another submarine cable project to boost bandwidth of the global network backbone that interconnects its data centers around the world. The 9,000-kilometer Indigo cable will land in Singapore, Jakarta, Perth, and Sydney, boosting bandwidth between the three countries by 18 terabits per second, which is enough for people in Singapore and Sydney to hold 8 million high-definition video calls, the company said. In recent years cloud giants, including Google, Facebook, Microsoft, and Amazon, have been getting more involved in submarine cable construction projects by investing in them instead of simply paying their operators (traditionally big telco consortia) to use international bandwidth. As they add users and services around the world, these companies are eager to expand network bandwidth and have found that it makes financial sense to fund these projects, each of which can cost hundreds of millions of dollars. Google has invested in more cable projects than others. Indigo, expected to come online by mid-2019, is its seventh overall and fifth in the Asia-Pacific region. Other investors in the project are AARNet, Indosat Ooredoo, Singtel, SubPartners, and Telstra. 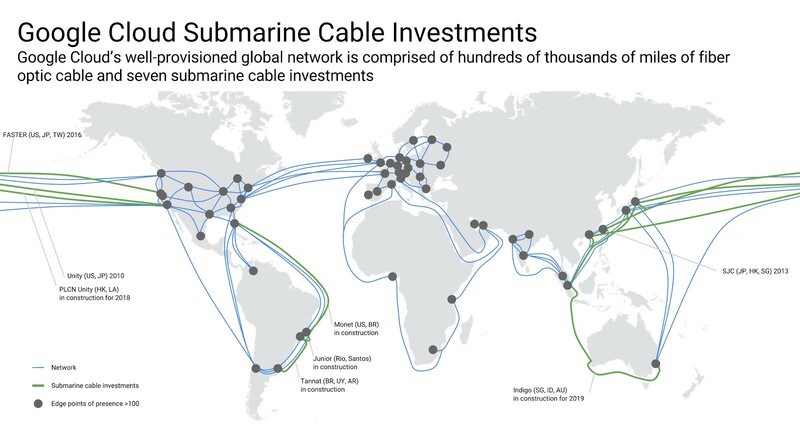 The cable will be built by Alcatel Submarine Networks.